Keith is, in many ways, a typical pre-teen boy. He likes playing video games. He’s a good student and is a kind and gentle friend. He has an older sister, who keeps a close eye on him and his younger brother. His mom and grandmother are always nearby, keeping the family strong. 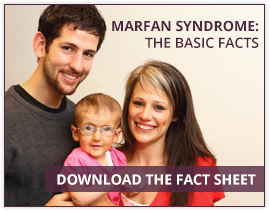 The only difference is that Keith was born with Marfan syndrome. This is why Keith is taller than his classmates and needs to wear his glasses, much as he dislikes them. Until recently, Keith had never met anyone else who looked or felt like him, and though his family has been tremendously supportive, Keith’s confidence was low. 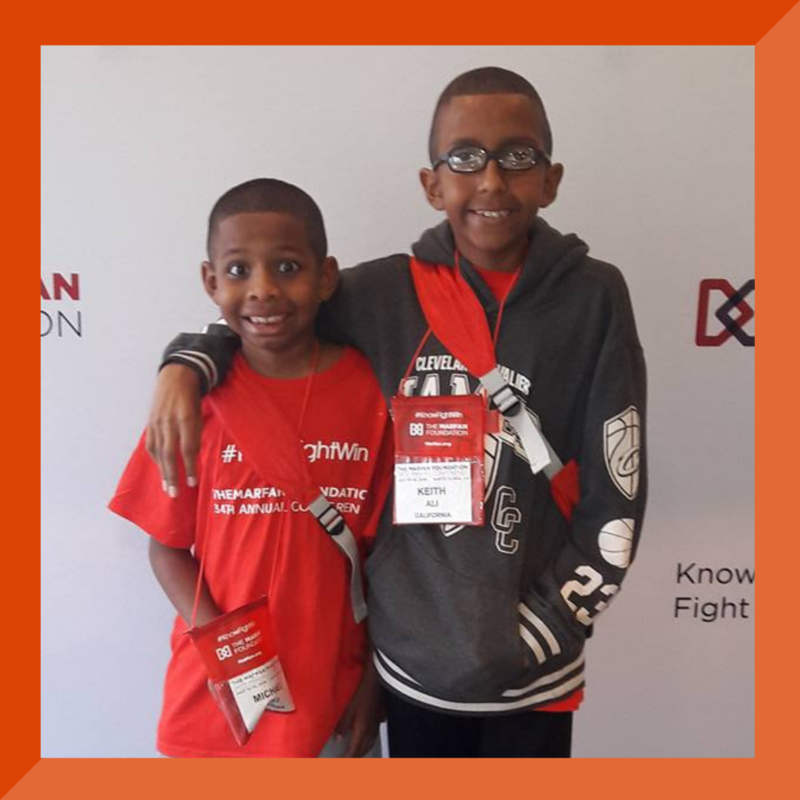 In the spring of 2018, Keith and his family learned about The Marfan Foundation’s Annual Conference and, as luck would have it, it was held not far from their home. Wanting to soak up as much information and as many ideas as possible, Keith’s sister signed up as a volunteer and his mom was selected for a scholarship so the whole family could attend together. When the day arrived, Keith was excited but unsure. The idea of being with hundreds of people was overwhelming. He’d always had to be on the sidelines, and the idea of joining hundreds of new people, just to be on the outside again? This was intimidating. Keith’s mom had to coax him inside. After that, everything changed. This group was totally unlike any Keith had ever encountered. There were hundreds of kids and adults who could relate to his feelings and challenges. There were even some who looked a lot like him, complete with the glasses. The feeling of empowerment was so deep that Keith became the star of the dance floor during the Victory Party and was then invited to perform on stage during another Conference event. 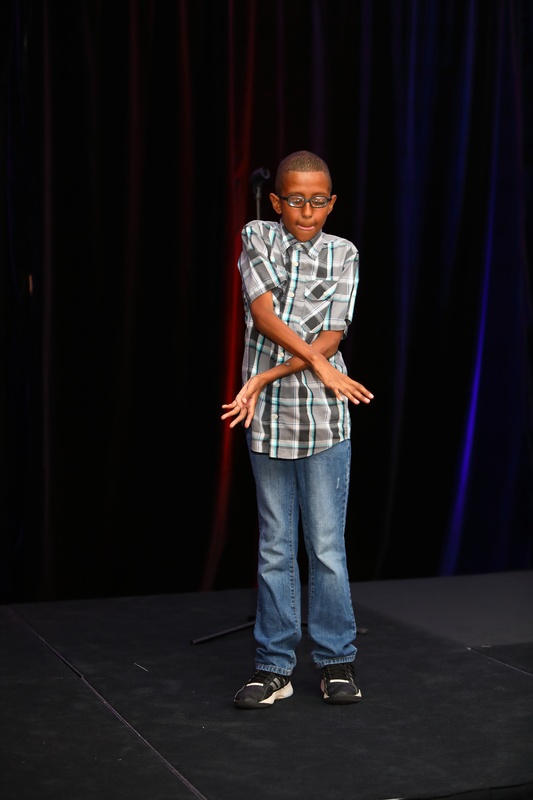 This child who was almost too scared to go into the conference had such a breakthrough once he was with supportive and empowering peers, that the next week he won a school talent show with his dance moves. The confidence inspired by these connections led to Keith finding a physical activity he can enjoy along with his brother and sister, who also love dancing. Since then, Keith's family continues to work toward empowering him in new ways and with new connections. They are co-chairing the Walk for Victory in their area and creating new ways to bring awareness and, of course dance moves, to their outreach. As a senior in high school, Keith's sister created a Dance for Marfan event and looks to do it again to grow the network of people who know and understand Marfan and related conditions. Keith’s confidence also continues to grow, even when he’s not with the Marfan and related conditions community. He still does well in school and still hopes to someday wear contacts instead of his glasses. But now he’s found his connection to people and activities, like dance, that build him up and is thriving with Marfan where once he was hiding because of it. Victory stories like Keith's are why we hope everyone affected by Marfan or a related condition will join us at an Annual Conference. The education, community, and research brings us all off the sidelines and into our empowered selves. Annual Conference is a place where kids and families living with Marfan or related conditions can find the confidence to lead complete and happy lives. Join us in Houston, July 11-14, 2019!